The superb design of the Easywipe bottom wiper toilet aid makes it a first amongst toileting aids. It has been thoroughly researched and the resultant ergonomic shape helps anyone who has limited dexterity and reach. The unique features of the Buckingham Easywipe allow it to grip the toilet tissue firmly and then release it cleanly. The Easywipe removes the need to touch the paper after using. Most other toileting aids mean that the user has to physically remove the soiled tissue paper compromising your personal hygiene. The Buckingham Easywipe bottom wiper aid toilet aid has been designed to be both simple to use and easy to keep clean. 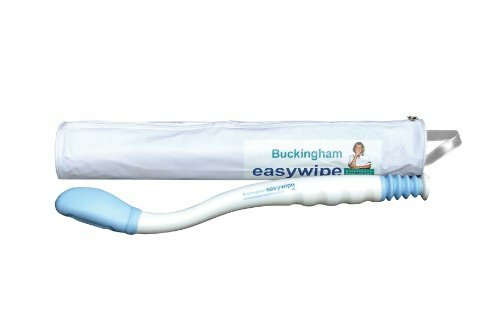 If you have any questions about this product by Buckingham Easywipe, contact us by completing and submitting the form below. If you are looking for a specif part number, please include it with your message.